What Do You Want in a Credit Card? Everyone has different needs when it comes to credit cards. Before you can apply for a credit card you need to understand what it is you are looking for in that card. Credit card companies understand the different needs, which is why they tailor their products to suit you. You may find one company has four or five cards to cater to various customers such as the American Express ZYNC card that offers four different options. They offer a ZYNC green card, travel card, social pack, and connect pack. It caters to different age groups and individuals. A person who enjoys events, concerts, and other forms of entertainment may find the social pack a better option with the ZYNC card. However, there is the little matter of being able to qualify for the credit card of your choice. We will discuss qualification requirements a little later once we have explored the brands of credit cards, types of cards you might encounter, and certain terms and conditions. There are four popular brands of credit cards: Visa®, MasterCard®, American Express, and Discover®. Visa® and MasterCard® are the two most prominent brands. They are accepted all over the world, with Visa® having the most customers. The Visa® and MasterCard® brand can be found on bank cards and other company credit cards. For example AAA, a motor club, offers a credit card with the MasterCard® symbol to their members. Orchard Bank® also has a branded credit card. Though the bank is separate from MasterCard® Company they use the symbol for their cards. The brand is only important when it comes to the use of the credit card. Some companies do not accept American Express or Discover® due to the extra fees associated with accepting those cards in their store. Brand is a consideration you should make when you apply for a card, but it is most likely secondary to the type of card you apply for. There are rewards cards such as travel, business, dining, shopping, student discounts, and cash back rewards. If you can use your credit card wisely by paying off the balance each month a rewards card can be very effective for you. The student rewards come with Student Credit Cards designed specifically for high school and college students. The rewards are provided for text book, tuition, and other school related products one might need. These rewards are different from someone who has a business credit card. 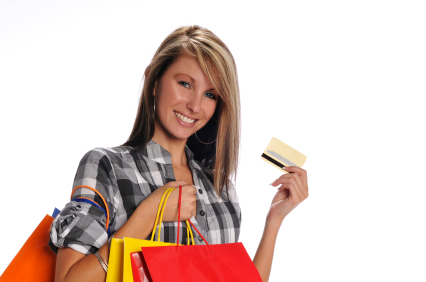 A business credit card provides awards on office supplies, dining, and other business related shopping. Travel rewards can be part of a business card or be on a personal travel rewards card. The travel options offer discounts on hotels, rental cars, and points for free tickets. Other types of credit cards include balance transfer credit cards, prepaid credit cards, and bad credit credit cards. Balance transfer credit cards offer an introductory deal on balance transfers, typically with a 0% APR for twelve months and a 3% transfer fee. Prepaid credit cards and bad credit credit cards can work for a similar solution. The one thing these cards have in common is bad credit as reflected on free credit reports. If you have bad credit it is hard to get an unsecured credit card, but there are bad credit credit cards you are almost guaranteed to receive. These cards will help you rebuild your credit scores. Prepaid credit cards are secured credit cards because you place a certain amount of money in the account to use. You cannot use the card unless it has money in the account. It also helps you rebuild your credit. Examining the brands and types of cards leads us to certain terms and conditions you need to consider. You need to examine the card for its APR, introductory deals, and the annual fee. Some of the credit cards offered have annual fees like American Express.